Hejnar PHOTO has just announced availability of a Dedicated Quick Release Plate for the new and very promising Fujifilm X-T1 Interchangeable Lens Compact mirrorless camera. 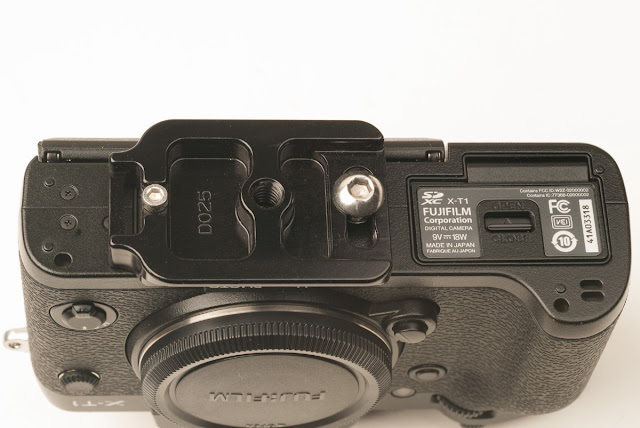 The Hejnar D025 Arca-Swiss® compatible QR plate, as you may recall from the relevant article it fits also all of the Fujifilm X-E1 the new Fujifilm X-E2 and the Fujifilm X-M1 models as they share the same body bottom dimensions. The D025 QR Plate is flat with with a slot for the 1/4"-20 screw on one side, a tapped hole threaded 1/4"-20 for direct mounting on a pod in the middle and a strap loop on the other side. A ridge at the front takes care of the anti-twisting function. 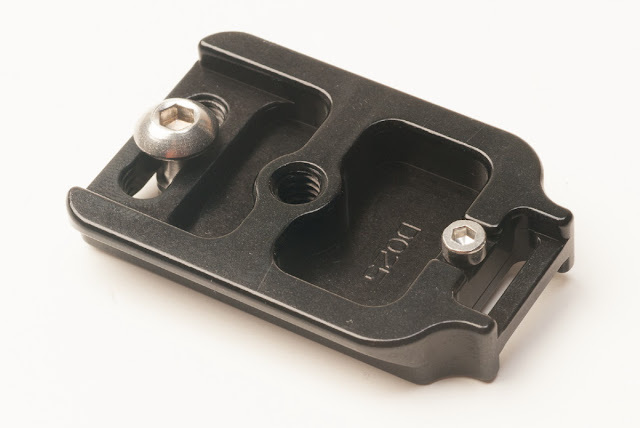 The plate follows the hollowed out design with a central brace accommodating the 1/4"-20 tapped hole, which enables direct mounting on a pod with an 1/4"-20 stud without removing the plate. 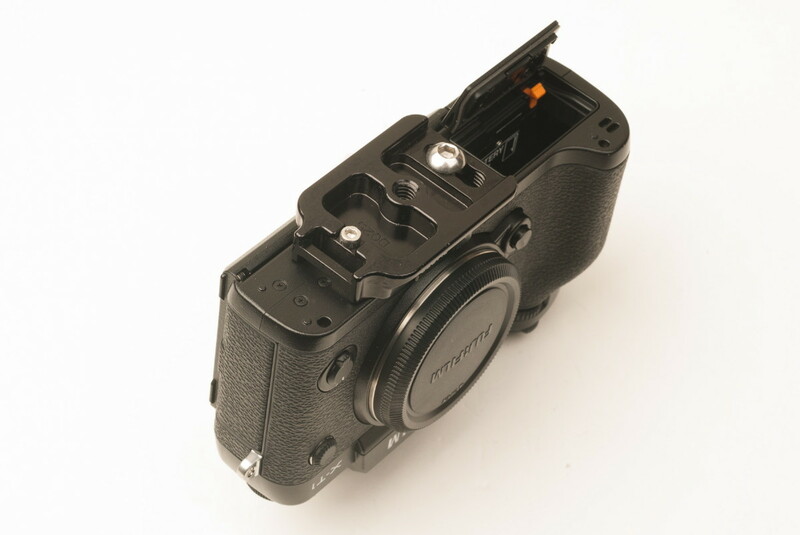 Due to the offset positioning of the mounting screw, there is only one M3 safety stop screw on the side of the strap loop. 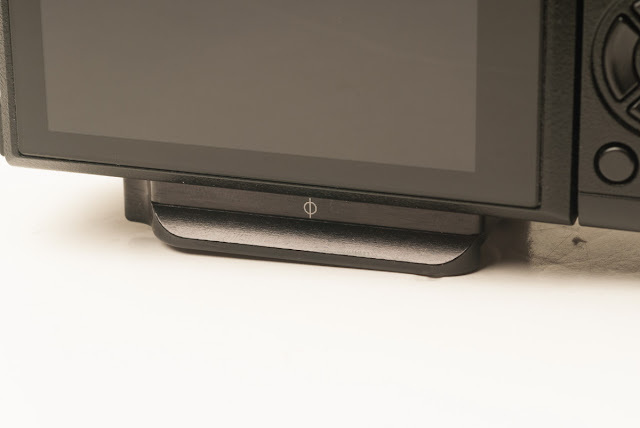 The plate is designed to sit with its front ridge below the lens. Nor any with the battery / memory door at the bottom allowing full access. All Hejnar QR plates are accompanied by two Allen Hex keys, one for the 1/4"-20 mounting screw and one for M3 safety stop screw. According to Hejnar Photo, their QR plates are compatible with Kirk®, R.R.S.®, Arca-Swiss®, and many other Arca-Swiss style Quick release clamps. Current price for the D025 QR Plate for Fuji X-T1 is US$ 38.00 (+Shipping where applicable) and is available from the Hejnar PHOTO online Store. If you are interested in purchasing the plate, do check the Recommended Sellers page for a valid Hejnar Photo discount coupon before you pace an order.